Saturday’s ride ended up in a fall leaving me with a fractured left ankle, a fractured right knee and a broken collarbone (left). With the weather warming up, I headed to the barn to enjoy the mild temperatures. I rode Freedom first. There wasn’t much snow left so I wasn’t too worried about the footing. He did fine, but he also has Borium while Zelda is barefoot. Maybe that made the difference? My family told me to take my time, so I decided to ride both horses. The first ride, on Freedom, went fine. Sure, he was a maniac after so much time off, but the footing seemed okay and he didn’t slip at all. My second ride, not so much. Zelda slipped and fell, crashing down on her left side. She must have hit a patch of ice under the snow. I’m not entirely clear on how the fall went, only that I knew it was bad. Right away I knew my left collarbone was broken, but when I tried to get up, I realized that wasn’t the only thing wrong. First, I had to find my glasses. The tumble sent them flying and without them, I’m blind. Luckily they were within arm’s reach and putting them back on helped me get oriented. Zelda got up right away and stood next to me (I was surprised because while I was in the ring, there were horses in the pasture that she could have visited). I wonder if she know there was something wrong with me. My left ankle hurt a lot and my knee hurt too. Yes, I hit my head, but it was the last part of my body to hit the ground. Yes, I was wearing a helmet (which will now be replaced). I managed to hobble to the mounting block — sitting in the snow wasn’t an option — and pulled out my phone. Always carry your cell phone on your person. This is the first time I’ve had to use it to get help for an injury but I was really glad that it was securely in my pocket. First call was to my husband, who was only about 15 minutes away. I’m not sure why it didn’t occur to me to call an ambulance, but it worked out better because he was able to drive down to where I was sitting so I didn’t have to walk. Second call was to the house on the property where the horses live so that someone could take Zelda and turn her out. She walked off sound so I think she’ll be fine. Right now I’m still trying to absorb the enormity of the injuries. While they will all heal and I should be fine, the next two months are going to be tough. And boring. While I’m still in the hospital, my next step will be acute rehab, where they will teach me how to work around my “limitations.” I’m a long way from being able to walk, drive, or even take a shower. So the next few months of Equine Ink will likely be devoted to the long, slow process of healing. That and some wishful thinking of how I could be out riding. Riding is a dangerous sport. We all know that and we all choose to take the risk. How annoying, though, to get so badly injured doing something so pedestrian. We were trotting. Slowly. In a ring. It just goes to show that you don’t have to be pushing the envelope to get hurt. I know people who only wear their helmet when they’re jumping, or if they’re on a young horse. With horses, sometimes that accident can happen when you are least expecting it. ugh i’m so so so sorry 😦 i broke my ankle stepping out of my trailer so…. i feel your pain at experiencing such a disabling injury from such … unremarkable circumstances. tho i honestly can’t imagine dealing with my own recovery with the added insult of a broken collar bone. wishing you a speedy, uncomplicated recovery! take care!! I guess the good (?) news is that I’m so broken that all I can do is rest and recover. crappy weather months anyway. Read lots of horse books. You’re right. If there’s a time to have an injury, now isn’t the worst time. At least I can still work and will have very few distractions. 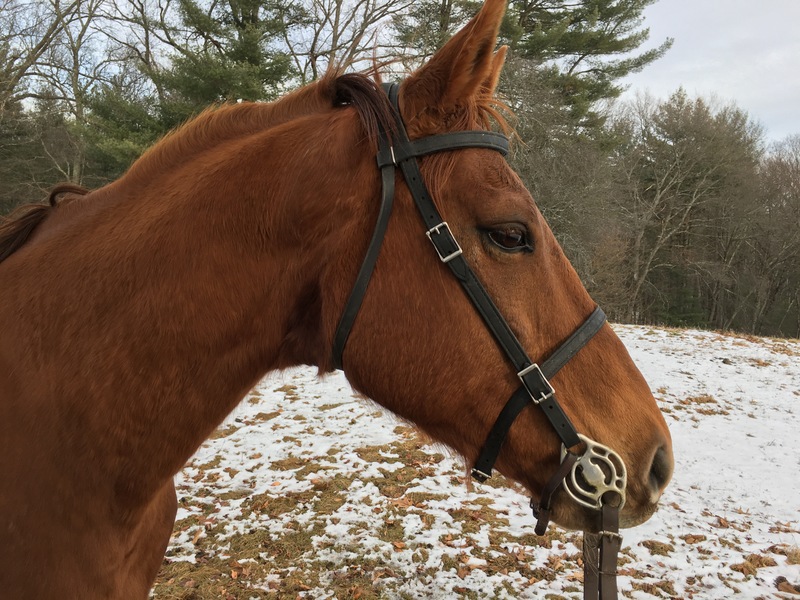 I’ve been working on a novel on and off for awhile, so maybe this is the time to get my horse fix by writing! So sorry. Hope you heal up well. Glad Zelda stood by you, I think she did know something was wrong. Anything can happen out there! A really important lesson. I may send my helmet to the manufacturer and see if they can take it apart. I didn’t hit my head hard but I’d like to see what the inside of that helmet looks like. Would make a good blog post, too! It least you will be healed by spring. Best wishes and a quick recovery. Thank you! Yes, I’m already dreaming of spring. damn, I’m sorry, that is a bad series of injuries, a real life twister game gone wrong. So glad you are on the (long) road to recovery. Maybe upcoming blogposts on how to type with one good arm? Kidding aside, get well soon! Thank goodness both my hands are okay. It means I can work. If I was just sitting in bed I’d be completely bonkers by now. Ouch!! So sorry to read this 😦 Hope you’ll heal quickly and uneventfully and fully. Having to be on “stall rest” for months is rough and boring. I am glad you weren’t injured worse (although that was plenty bad!) and that you had your phone and helmet. Oh I wish you well. So sorry you are in pain and have a long recovery. I’m glad you had your helmet on. You’re absolutely right, we don’t know when a patch of ice or a mud puddle at a walk will cause an accident. Fortunately, this doesn’t end your riding days. Be gentle and kind to yourself and soon enough all will be healed. Great post about a sorry event. So sad to hear you were badly injured – great to hear you’ll mend and ride again. Good lessons about the helmet and the phone. Zelda deserves a treat for sticking with you! I parted ways with my horse and broke my clavicle and tore my rotator cuff. 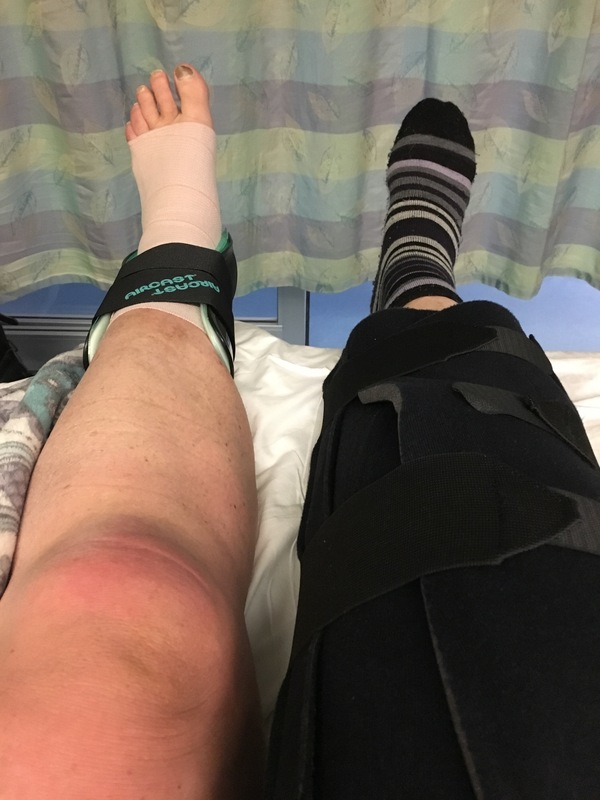 Not fun – and definitely requires some thinking both about how it could’ve been far worse, but also what could I have done differently to have lessened the injury. In any event, I look forward to hearing all about your uneventful recovery and reading your upcoming novel. Take care – best wishes! Wow, how scary!! I’m glad you are going to be okay. Sending all the well wishes to you on your recovery! This is absolutely horrifying, and I am so sorry to hear about it. Poor you! In pain, tied down, unable to get up and about: a nightmare! I am trying to think of what I could send you by way of sympathy, which maybe hasn’t already been sent by someone, assuming you are probably already buried in flowers. So let me think about this. I will have to go do some looking. At least your face wasn’t hit, so maybe some humor could be helpful. In the meantime, know that we are both wishing you the speediest possible recovery with the least possible pain. That’s asking a lot, I know! We can wish and pray for it anyway, right? Thank you Marjorie & Larry! I’m trying to keep my sense of humor because all you can do is laugh about it. Saw your post about rehab and went back to read about what happened. How frightening for you! I recommend moving south, away from that ice covered treacherous Massachusetts (JK). May you heal quickly, completely, and be back to 100 percent soon. Trust you have someone to care for your horses so you can relax and concentrate on getting better. Try to look at it as an opportunity to spend more time writing (or other pursuit that can be done from a chair). Yes, moving south sounds like a pretty darned good idea right now. It was attractive during the -10 degrees temperatures we had, too. I am trying to turn my energy into writing. I have a novel in progress and always complained that I never had enough time to write. I guess that excuse doesn’t work any more. Ouch! Hope you are a lot better by now. I also had a fall, mid January. Broke my humerus (upper arm) – still off work and unable to do much. Recovery time around 12 weeks (then physical therapy to regain use of elbow/shoulder/arm functions) IF it heals ok on its own, if not I’ll need an op. Just like you, we weren’t doing anything super exciting when it happened – just goes with the territory. As you say, we know what we are getting ourselves into! I’ve been blogging my journey on my page if you fancy a nosey. My sympathies. I’m just at the 8 week mark, walking with crutches and hoping to be cleared to drive when I see the doctor tomorrow. I’m also just starting PT, which the doctor tells me will be lots of fun given I have three limbs to work on! Fingers crossed for you that your broken bone heals on its own and that you don’t need surgery. 12 weeks is long enough. Will stop by and read about your journey!